I have been talking about an official handbook published in 1923 which features up to date information on all the excavations that had taken place since 1878 around the original Roman baths complex. 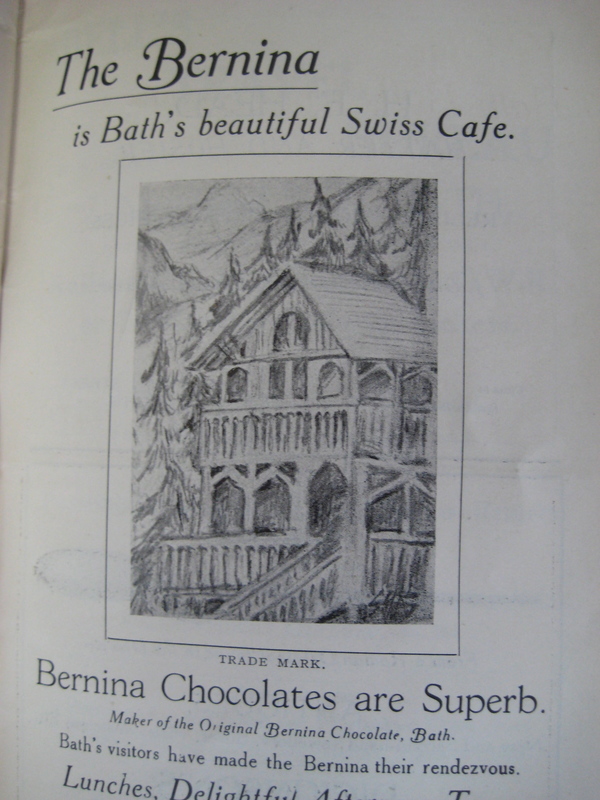 I spend some time discussing the Bath businesses who took out advertising space in the catalogue – including one for The Bernina – which was ‘Bath’s beautiful Swiss cafe’ which even made its own chocolates! Georgian Lido gets keys to the door! Transport plan for Keynsham called for.